oh Herrscher von Mathura, alles an Dir ist süß. süß ist Dein Essen; und süß ist Dein Schlaf. 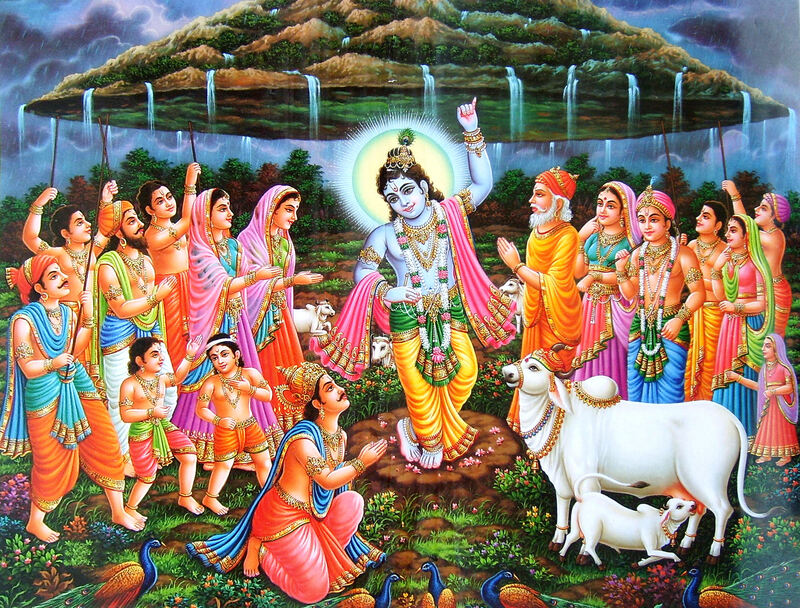 "Die Gedanken der gopīs erfreuen sich ständig der Süße von Kṛṣṇas Körper. Er ist der Ozean der Schönheit, und Sein liebliches Antlitz, Sein bezauberndes Lächeln und die Ausstrahlung Seines Körpers wirken immer sehr anziehend auf die gopīs. 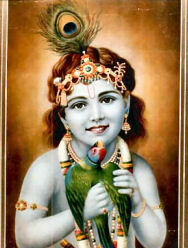 Im Kṛṣṇakarṇāmṛta werden diese drei Aspekte als »süß«, »süßer« und »am süßesten« beschrieben. 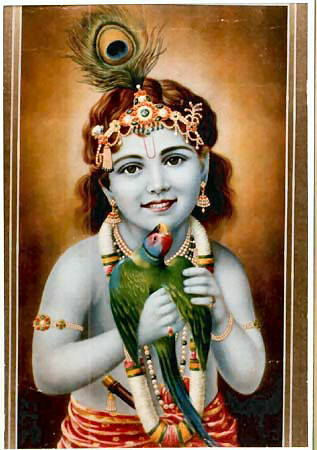 Wenn der reine Gottgeweihte durch den Anblick der Schönheit von Kṛṣṇas Körper, der Schönheit Seines Gesichtes und der Schönheit Seines Lächelns von Ekstase überwältigt wird, verkrampft sich sein Körper oft. Diese transzendentalen Konvulsionen dauern ohne Linderung manchmal an, wie gewöhnliche Krampfanfälle, bei denen man kein Wasser zur Erleichterung trinken darf. 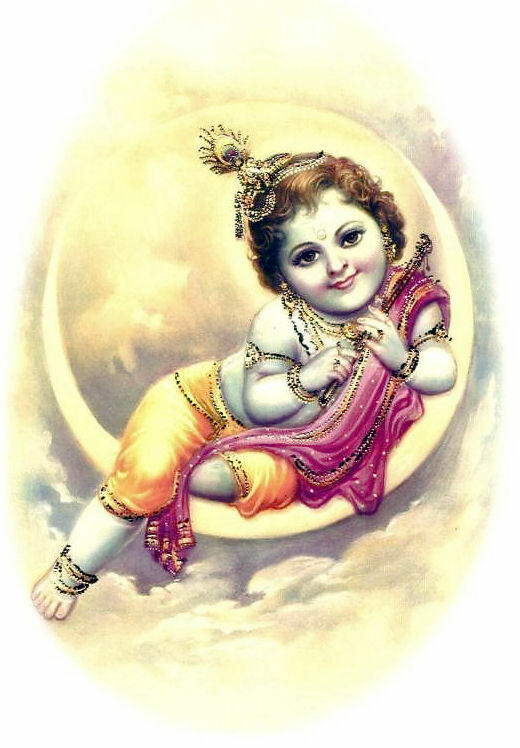 The Madhurasthakam, composed by Sri Vallabhacharya (1478 A.D), is a unique stotra, describing the Sweetness of Lord Sri Krishna. Madhurashtakam was originally written in Sanskrit and is easily understood. Only one word, madhuram, is repeated seven times each in this ashtakam (poem with eight verses)! 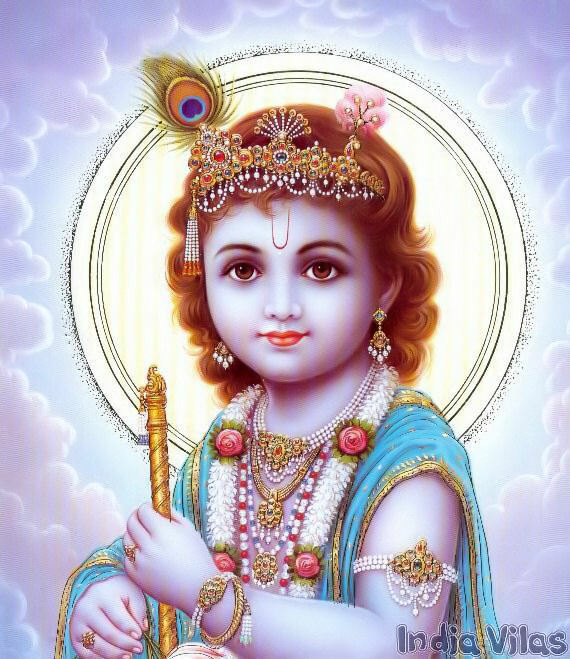 The Madhurasthakam uses just one adjective, "madhuram", meaning sweet or beautiful etc., to describe the lovely attributes of Lord Sri Krishna's beautiful form, who is the master of Sweetness and Sweetness personified. 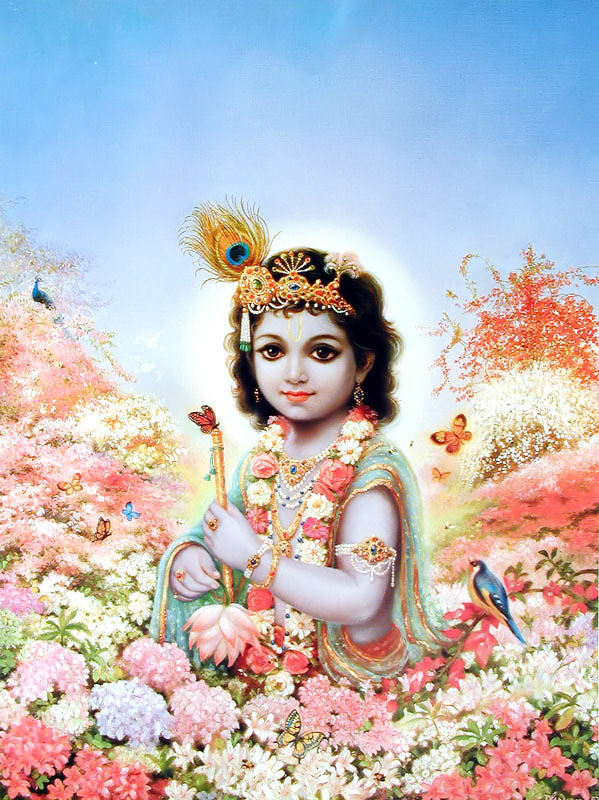 It is evident from the ashtakam that the devotee is fascinated to have a look at not only the beautiful divine sweet form [sarvanga sundara rupam] of Lord Krishna, but also the very existence of the Lord -- by way of His moves, plays, pastimes, etc. 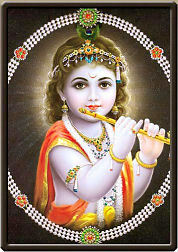 Thus says the devotee: "The Lord of Mathura, Krishna, is sweet, sweet and nothing but sweet! Even ambrosia and nectar may satiate after some time, but concerning the sweetness of the Divine Lord, one cannot have enough of it. 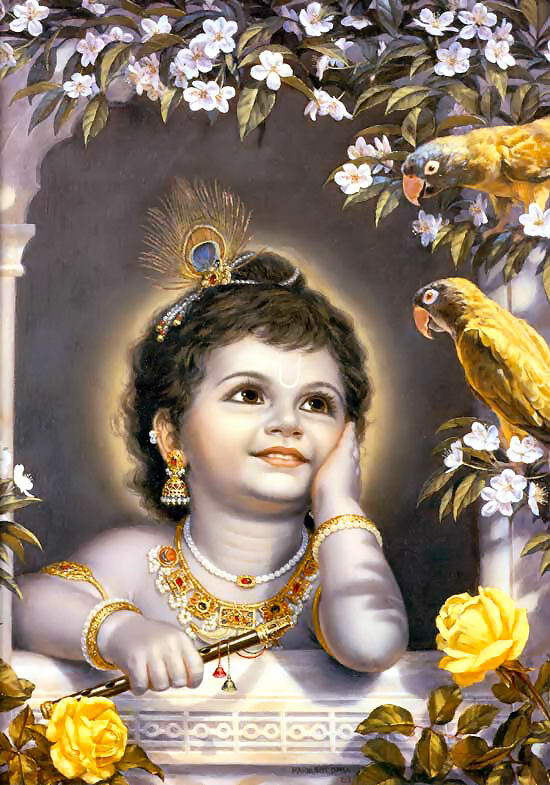 Krishna's lips are very sweet, his beautiful face is sweet, his beautiful black eyes with sidelong glances are sweet, his enchanting smile is even sweeter, his love-sports are very sweet and his three-fold bend form is very sweet. 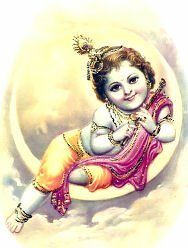 O Lord of sweetness, everything about You is completely sweet, You are sweetness personified." 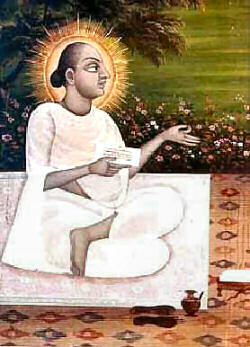 Vallabha-acharya (1479-1531) A famous 16th century sage-philosopher of India and great devotee of Lord Krishna. He was born in Champaran near Raipur in the Indian state of Chhattisgarh. 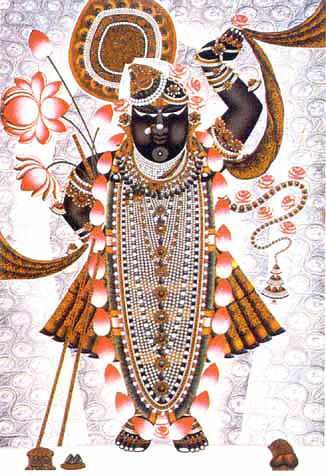 Vallabha is regarded as an acharya and guru within the Vaishnava traditions of Rajasthan and Gujarat. 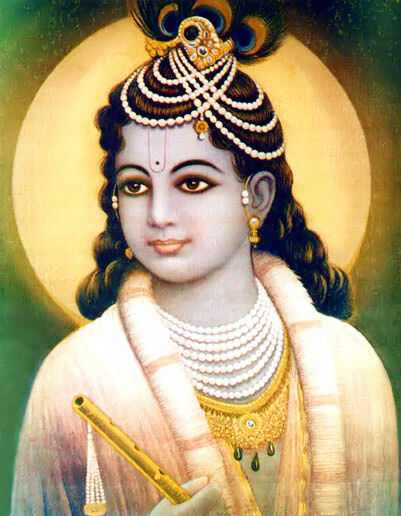 Within Indian Philosophy he is known as the writer of sixteen 'stotras' (tracts) and produced several commentaries on the Bhagavata Purana, which describes the many lilas (pastimes) of the Avatar, Lord Sri Krishna. 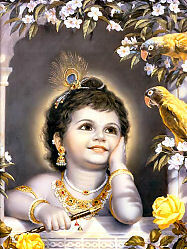 Many of his pieces involve praise of Lord Krishna, especially in the form of a boy. 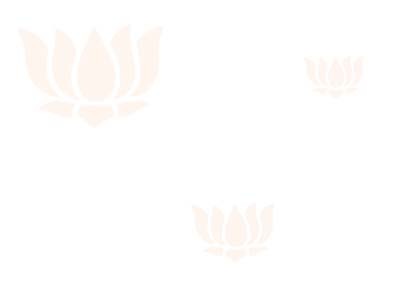 Some works include Vyasa Sutra Bhashya, Jaimini Sutra Bhasya, Bhagavata Tika Subodhini, Pushti Pravala Maryada and Siddhanta Rahasya, all in Sanskrit. He has written many books in Brij Bhasha as well. 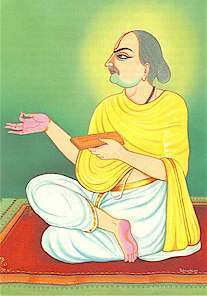 Vallabha Acharya occupies a unique place in Indian culture as a scholar, a philosopher and devotional (bhakti) preacher. He is especially known as a lover and a propagator of Bhagavata Dharma, teaching the path of Pushti-Marga, or the "path of grace", establishing the worship of Sri Nathji. 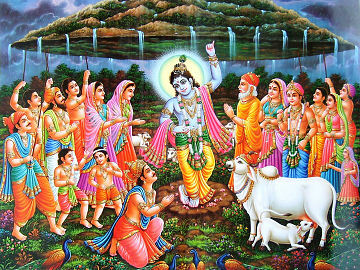 Shri Nathji is the form of Lord Krishna when he lifted the Govardhana Hill. He is shown with his left hand raised and the right hand closed in a fist and resting on his hip. 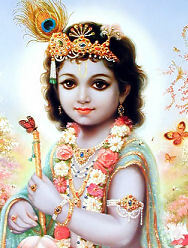 His followers worship him both as Shri Radhanath or the Lord of Radha and as the mischievous, naughty child Bala-Krishna. 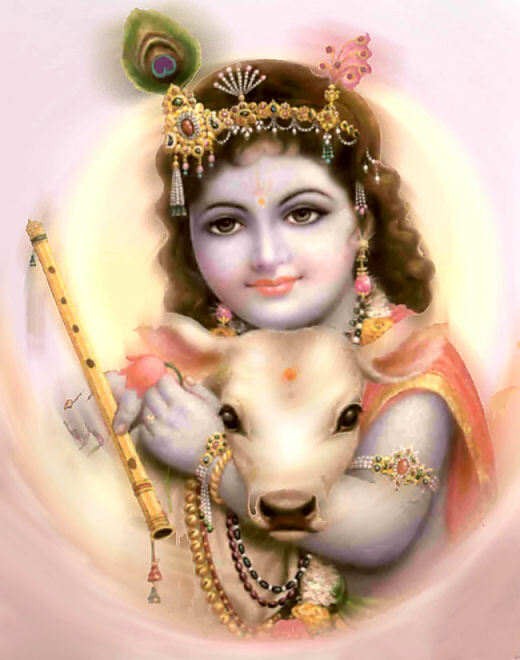 Vallabha emphasized, that Sri Krishna is the personification of the Supreme Personality of Godhead, who prevails everywhere and who resides in everyone's heart as the Supersoul. Shree Nathji is same as Lord Sri Krishna, it is the form of Lord Krishna when he lifted the Govardhana Hill. 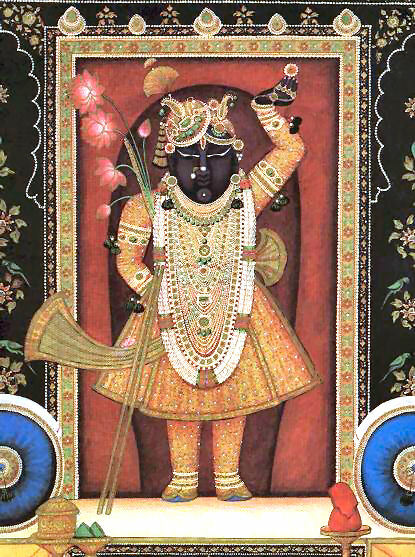 Srinathji is shown with his left hand raised and the right hand closed in a fist and resting on his hip. 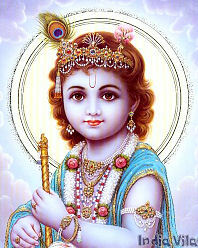 His followers worship him both as Shri Radhanath or the Lord of Radha and as the naughty child Bala-Krishna.